Stampin' Up! Grab Your Greetings Promotion Posted Today! Just in time for "Golden Ticket Day", Stampin' Up! just posted the "Grab Your Greetings" Promotion starting today and running through the end of June! Add one (or more!) of these stamp sets to your order today and save 25%!!!! 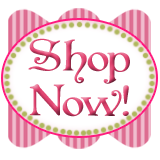 Be sure to use the "Shop Now" button at the upper left of my blog to shop my Online Store! Stampin' Up! "Golden Ticket" Day! Good morning! The cool thing about today, and the MAJOR difference between this day and the Golden Tickets in the Willy Wonka movie is that EVERYONE can participate, you don't have to just wish you would find a ticket! Starting today at Noon, Mountain Time, you will be able to order from BOTH the retiring and the NEW catalogs AND the Occasions seasonal catalog! Yippee!!!!!! Crisp Cantaloupe is the perfect base color for this card. The Jet Black StazOn stamped greeting is from another superb new Hostess Set, Express Yourself! Definition of Hostess Set: a stamp set you can only purchase when you are a hostess with at least $150 in sales for you party or personal order. Only hostesses are allowed to purchase these exclusive sets with the Hostess Dollars awarded to them when their party is closed and submitted. How can you be a Hostess? Book a party, stamp camp, or private class with me! Or go to my Online Store through the "Shop Now" button in the upper left corner of this blog to place an order of at least $150. Live out of state or out of my area? NO PROBLEM! I can ship you a "party in a box" for however many guests you plan to assemble. Contact me, and after we confer about the type of projects you want to make, I will send you all the supplies needed to complete the projects, with instructions. If you have Skype, I can even Skype into your get-together to demonstrate for you and take orders! Have questions? Just contact me at carol@carolpaynestamps.com! Stamped & colored on Watercolor Paper. The Whisper White Organza Ribbon was dyed with the Strawberry Slush ink refill! LOVE the Framed Tulips Textured Impressions Folder use here and the stamping &n coloring on the envelope! This final sample incorporates the Modern Mosaic folder with a phrase from My Friend. Classic black & white with splashes of Strawberry Slush! Yummy! That's all for now! Noon will be here before we know it! Stampin' Up! Countdown to the NEW Catalog Day#4, Wildflower Meadow! Good morning! Just one more day! ONE? Can you stand it? Tomorrow is like a GOLDEN TICKET DAY! Because tomorrow is a FIRST in the 25-year history of Stampin' Up! Tomorrow, ONLY, May 31, 2013 beginning at Noon Mountain Time, (translate that time to your own time zone. For me in the Central Time zone that translates to 1 p.m.!) and lasting until midnight Mountain Time (1 a.m. for me) you will be able to order from THREE CATALOGS: the retiring 2012-2013 Annual Catalog, the 2013 Occasions seasonal catalog, AND the NEW 2013-2014 Annual Catalog! AMAZING! Online Ordering will be down from midnight, May 31, till noon Mountain Time, at which time all the item codes will be turned on and we are off!!!!!! You can contact me direct to place your order, but you can also place your order through my Online Store just by clicking on the "Shop Now" button in the upper left corner of this blog. You will be prompted to set up an account and the order will be shipped direct to you! If your order total reaches $150 or more (before shipping and sales tax is added in), you will also be eligible to choose Hostess Benefits of at least $25 free! Tomorrow only you will be able to choose your free from any of the three catalogs, even choosing from the Hostess Exclusive stamp sets from all three catalogs! WOW! While we are waiting for tomorrow, I have more virtual swaps to share with you, using Wildflower Meadow stamps and Textured Impressions Folder! This beauty was stamped with the Illuminate Glimmer Watermark Stampin' Pad, which IS carrying over into the New catalog! Love the Stripe embossed background cut with an Oval Collection Framelit to "frame" the markered Wildflower Meadow stamp! Another markered beauty! This one has the envelope generation-stamped to achieve the lighter-stamped look! New In-Color Coastal Cabana was brayered onto the folder before the paper was inserted for this one! Label Love stamp was punched with the Artisan Label punch! The Natural 7/16" Trim is also carrying over! Another marker sensation, this time was probably spritzed with water before stamping to give it the watercolor look! This final one I am CASEING for my New Catalog Open House on Saturday! It's a fantastic example of "spotlighting" by my good friend Patsy Waggoner! That's all for today! I'll be back in the morning for a little more swap love while we wait for OEX to open at noon MT! Oh, and I almost forgot, TODAY is the last day to sign up as a Stampin' Up! Demonstrator to get the extra $30 in your Starter Kit! Go to my website through the "Join My Team" tab at the top of this blog, then click on the "Join the Fun" tab on the extreme right of my website. It will step you through the process! I would LOVE to have you on my team of "Yes, Mam!" Stampers! Stampin' Up! Countdown to the NEW Catalog Day #3, Kind & Cozy! Good morning! Can you believe it? Only TWO MORE SLEEPS until the New Catalog starts! I can hardly wait! Friday evening: my daughter, Alisa and her husband, Cody, are hosting their annual "Summer Bash" at our house! This involves a bonfire with hotdogs & 'smores, hamburgers on the grill, all the rest of your traditional picnic trimmings, kickball, volleyball, LOTS OF FRIENDS, and of course, mosquitos! Saturday afternoon 1-6 p.m.: I'm hosting my annual "New Catalog Open House"! This involves Make n' Takes, doorprizes, gifts, refreshments, a BOGO sale, and of course the giving out of the New 2013-2014 Annual Catalog for FREE, many of which will be spiral-bound for those who RSVP to me by today and attend! Sunday afternoon 2-4 p.m.: My daughters are hosting a baby shower at our church for Cody & Alisa and baby Oakley, who is scheduled to arrive sometime in early July! Whew! I get a little tired just thinking about it all! Today's new catalog samples I downloaded from a "virtual swap" I participated in with a Facebook group I belong to called "Stampin' Leaders". This sample uses Gingham Garden paper again to create a cute little seed-packet card. Notice the flower embellishment? It was created with our new Buttons & Blossoms Simply Pressed Clay Molds and Simply Pressed Clay! Another Kind & Cozy sample, this time with Gingham Garden Washi Tape to accent so easily! And last but not least, this sample used Gingham Garden Washi Tape with the Beautiful Butterfly Die to create a custom butterfly embellishment! That's all for today! I'm off to get busy on my "To Do" list for today! Stampin'Up! Countdown to the NEW Catalog Day #2! Good Morning! Now that I think about it a "countdown" starts at a higher number and counts DOWN to zero, and I'm counting up! Oh well, we all know that when we get to Friday, May 31st, we can order from the new catalog, and that's all that really matters, doesn't it? The dress is cut from NEW Soho Subway Designer Paper, and the Blushing Bride (a returning In-Color that is now a CORE Subtles color!) strip behind the dress has been embossed with NEW Modern Mosaic Textured Impressions Folder. I LOVE how the creator (wish it was me but, alas, is not!) used the Designer Frames Folder and the Extra Large Oval punch with Silver Glimmer Paper to create the "mirror"! Beautiful finishing touches: the "Pearl" necklace and the Blushing Bride flower punched with one of the Itty Bitty Shapes Punches! That's all for today! I've a LOOOOONG list of "to do's" to get done today before my stamp camp in West Frankfort at the GrandOArt Studio! Just a few days left to order from the retired lists! Click on the "SHOP NOW" button in the upper left corner of this blog to go to my Online Store to place your order! Stampin'Up! Countdown to the NEW Catalog Day #1! Good morning! Are you as excited as I am? Only 5 more sleeps till my New Catalog Open House! If you live in Southern Illinois, do not have your own demonstrator but would like to receive a new catalog, just contact me to RSVP for this event and you will receive an exclusive-to-this-event-only SPIRAL BOUND copy! This card also uses Occasions Catalog returning products Tea Lace Doilies and Hung Up Cute Clips (the dress' hangar)! I love how the creator cut the doily in the shape of an apron, don't you? That's all for now! Be sure to click on the Shop Now! button on the upper left side of this blog to visit my Online Store, including the Clearance Rack, to order retiring and current products! You will be able to begin ordering from the NEW catalog at noon, Friday, May 31st! Stampin' Up! Secret Garden Fiji Swaps! Good morning! I'm staying home from church this morning because although I now have the proper meds, at times I'm still coughing my head off, and I don't want annoy everyone around me and disturb the service. I'm hoping after a second day of antibiotics my system will start to turn this around. I am, however, VERY thankful to not have that crazy fever anymore! This first swap has Epic Day designer paper for the background, then white embossed flowers that have been painted with inkpads and an Aquapainter. (I think!) There's also a Paper-Pierced Garden Green Window Framelit-cut layer peeking out from behind the flowers and leaves! This one is a real beauty, but trying to reverse-engineer this one from a picture is a toughie! I'm pretty sure Pool Party or Tempting Turquoise and am almost positive Melon Mambo embossing powder was used, but I only "think" there was some bleach-stamping going on here as well! This last sample uses the "reinker spread" technique to get the flowing colors on these white-embossed blossoms. The greeting is from a catalog favorite of mine, Trust God, and the punch-out circle is framed by a Sahara Sand layer cut with the Delicate Doilies Sizzlet! That's all for today! Tomorrow is "Countdown Week to the New Catalog", and I will be sharing swaps made with new catalog products all week! I can't wait to show you some of the cool stuff we are getting! Stampin' Up! Christmas Carryover List! Every year when I first get my hands on the new catalog, the section I turn to first is the Holiday Stamps. However, when you get your new catalog this year, you will notice that the Holiday section is missing. In keeping with their commitment to having the Annual Catalog contain core products which can be used year-round, this year Stampin' Up! has NO HOLIDAY STAMPS in the new Annual Catalog! Moving forward, holiday stamps and accessories will be found in the Holiday and Occasions seasonal catalogs exclusively. That said, this year Stampin' Up! has released a Carryover List of stamps from the retiring catalog that you will be able to order but will not be shown in the catalog. Why should we care about a Christmas stamp set in May? Because although you will be able to order this set through the coming holiday season, the MATCHING HOLIDAY ORNAMENT FRAMELIT DIES WILL NOT BE AVAILABLE!!!!! Just thought you ought to know this, in case you were thinking you could wait to order these at my Christmas in July event or later this year. If you want them, you NEED to order them NOW!!!!!! "Summber Bash" to prep my house and yard for my kids to host, and my New Catalog BOGO Open House, to mess around with this any longer. Wish me luck! Stampin' Up! Punch Miss Lady Returns! Good morning! I'm still moving a little slow, whatever this bug is has really knocked me flat! My fingers can still type, so I thought I would respond to a recent request for info on how to create my "Miss Lady"! See my original post HERE! Tips: Add ears to back of head with edges of ears popped out as shown. Use Real Red marker to stamp “RRooF*” on Whisper White scrap. Punch with Small Oval Punch. Add a line of Crystal Effects around the edge of the oval. Add word bubble Cute Clips on Crystal Effects. Keep card flat till dry. That's all for today! I have a workshop tonight, so I'd better go finish getting ready for it! The BAD NEWS: Blossom Petals Punch #121808 is on the Retiring Accessories List, so you only have until June 3rd to order it, unless the supply runs out before then. The Good NEWS: Right now the Blossom Petals Punch #121808, originally $16.95, is ON SALE for $10.17!!!!!!!! ALSO the Merry Minis Punch Pack is retiring! #126882 $16.95. So you need to order it today too to get the little star punch for Miss Lady's collar! Click HERE for my Online Store! THE GOOD NEWS: Blossom Petals Punch #121808, which sold for $16.95 IS ON SALE for the discounted price of $10.17!!!!!!! Stampin' Up! Elegant Butterfly Bikini! Good morning. I'm sick today. Have been since Tuesday night. I've had a fever as high as 103 with body aches and and a headache. Currently it is 99.9, so I'm getting better, but I'm not there yet. Since I've been a lump on the couch I've been blog surfing alot, which does make me a bit frustrated because I can't stamp! This swap uses the Epic Day Designer Paper from the new catalog starting May 31st! This one used both the Elegant Butterfly Punch and the Bitty Butterfly Punch. The greeting is from the NEW catalog set, Really Good Greetings. This swap cleverly uses the Elegant Butterfly Punch to create the "Itsy Bitsy Teeney Weeny Yellow Polka-Dot Bikini! That's all for today. Blogging has worn me out! Until tomorrow (and I hope I feel ALOT better by then!) have a Stampingrox! day!